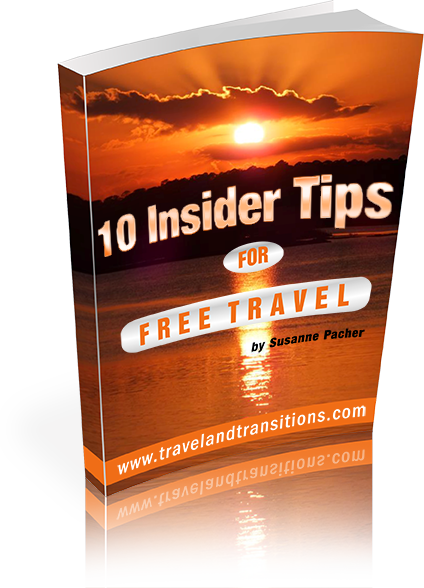 For centuries now, Vienna has been known as a prime destination for art, music and culture. The abundance of art museums in Vienna provides travellers with a wealth of art experiences that will satisfy visitors of all ages and tastes. 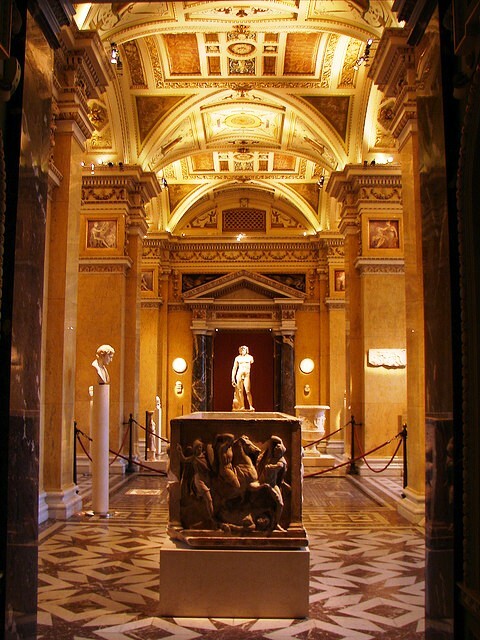 You will love the incredible variety of art museums in Vienna and their impressive collections. The Art History Museum of Vienna, also often referred to as the “Museum of Fine Arts”, opened in 1891, during the reign of Emperor Franz Joseph I. It the perfect place to explore rich holdings that span many epochs, from Ancient Egypt to the late 18th century. The Museum features some well known masterpieces of Renaissance and Baroque art, including the Tower of Babel by Pieter Brueghel and Summer by Giuseppe Arcimboldo. Visited by more than one and a half million people every year, this is one of the most popular museums in Vienna and houses five key collections on three floors. The Viennese Art complex called MuseumsQuartier, located near the Imperial Palace, is considered to be one of the largest cultural centers in the world. It represents over 640,000 square feet or 60,000 square meters of exhibition space. The MuseumsQuartier brings together a variety of spaces, from a centre for dance performances, to an architecture centre, new media and artists’ studios as well as restaurants, cafes and bars. 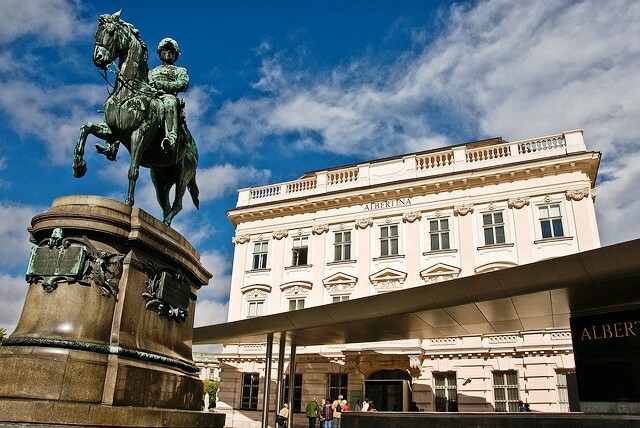 One of the museums in this complex, the Leopold Museum, is considered to be the home of modern Austrian Art as it contains more than 5,000 exhibits including key paintings and drawings by Austrian painters. Austrian art history of the 19th and 20th centuries is well represented here. 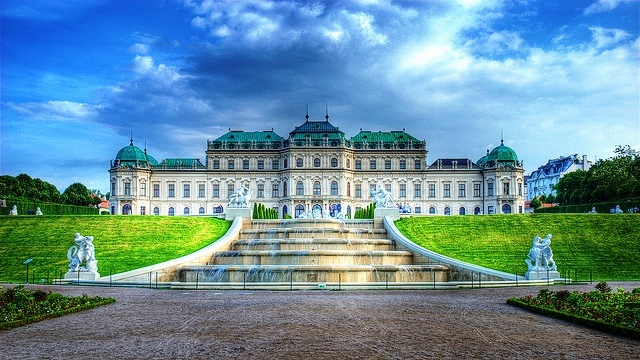 The Belvedere Museum is located in the famous Belvedere Palace and includes masterpieces from the Middle Ages and the Baroque era up until 21st century. Focusing on Austrian painters, the museum has three floors, and is divided into five sections: Neo-classicism-Romanticism, early 20th-century art, Historicism-Realism-Impressionism and masterpieces of Baroque and medieval arts. A big part of the collection is dedicated to the Art Nouveau era. A masterpieces of Viennese art, “The Kiss” by Gustav Klimt, is the most famous exhibit here. 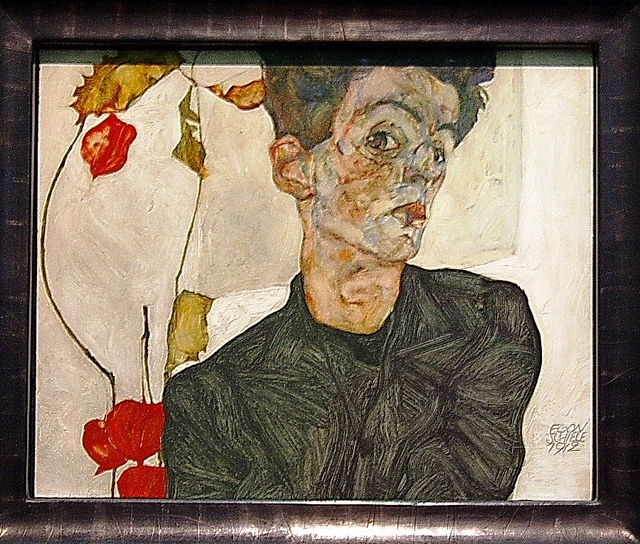 Other well-known artists include Claude Monet and Egon Schiele. Once built as a fortification in the middle of the 17th century and used as a palace in the mid 18th century, the Albertina Museum was damaged in 1945 by Allied bomb attacks and was completely refurbished to become a museum. Today, it houses one of the most important print rooms in the world and showcases a collection of about one million old prints, over 65,000 watercolors and drawings and 70,000 photographs. As a result, the Albertina is one of the most well-visited art museums in Vienna, with key works by French Impressionists, Post-Impressionists, German Expressionists, Fauvists and the Russian avant-garde. The museum’s permanent collection is entitled “Monet to Picasso” and features well known works by artists like Toulouse-Lautrec, Chagall, Cezanne, Renoir, Magritte, Picasso and many more. One of the most unique museums in Vienna, the KunstHaus Wien museum is famous for both its exhibits as well as its unusual architectural design, created by famous Austrian artist Friedensreich Hundertwasser. His trademark style features curved walls, undulating floors and an absence of straight lines. The building is full of bright colours and has an abundance of plants. The Café-Restaurant Dunkelbunt is a hidden oasis of greenery in the middle of the city. 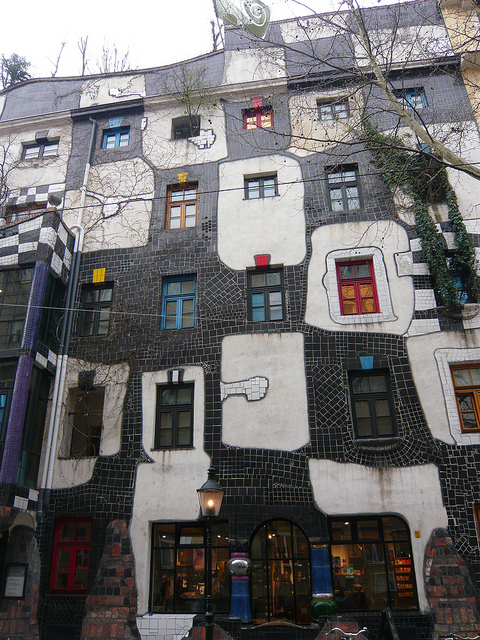 The KunstHaus Wien holds the only permanent collection of works by Friedensreich Hundertwasser and has featured special exhibitions by Annie Leibovitz and other prominent photographers. In the summer of 2013, the KunstHaus Wien will be showcasing a collection by Linda McCartney, whose works include iconic photographs of rock and roll in the 1960s. Founded in 1867 as the Imperial Royal Austrian Museum of Art and Industry, the MAK (Museum für angewandte Kunst Wien) acts both as a showcase for Austrian decorative arts and a repository for fine objects from around the world. The museum highlights objects such as furniture, glass, ceramics, silver, and textiles from the middle ages to the present day. Exquisite works by the Wiener Werkstätte, bentwood furniture from the famous Thonet factory and a recently opened Asian collection will delight art connoisseurs. There are four floors sorted by theme and age. In addition to its main collections, the museum holds temporary exhibitions. 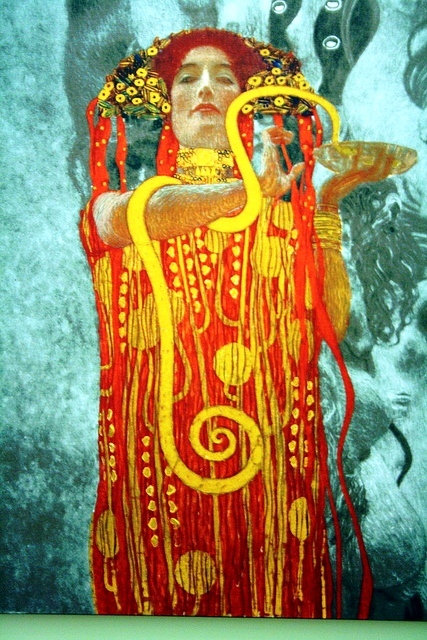 In 2012, for example, “Vienna 1900” was entirely dedicated to the development of Viennese arts and crafts between 1890 and 1938. As you can see, Vienna has a wide range of offerings for sophisticated art lovers. Art is an integral part of Viennese culture and a visit to one of the city’s many art museums will definitely enrich your stay in the Austrian capital.